$171 value. New patients only. 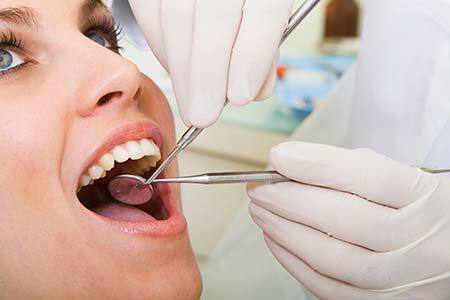 Need to find a dentist office in Willoughby, OH for affordable dental care near 44094? Dr. Anthony Valaitis specializes in General Dentistry and frequently has special offers and discount dental care for the whole family from seniors and adults to teens and children dentistry. Come in to see the dentists at ANTHONY V VALAITIS DDS in their Willoughby OH 44094 dental office location to find out about their dental care services from tooth aches, check-ups, routine exams and fillings to x-rays, crowns, bridges and many other dental services including emergency dental care. Drop by the local dentist office of Dr. Anthony Valaitis conveniently located at 4212 State Route 306 in Willoughby, OH 44094 or call them at 440-946-2726 to schedule a consultation today! Although Dr. Anthony Valaitis accepts many dental insurance and discount dental plans, be sure to call ahead to confirm whether your insurance or discount plan is covered. All registered names, marks, logos and images are the property of their respective owners. Dr. Anthony Valaitis and ANTHONY V VALAITIS DDS are not affiliated with nor do they endorse this website. Contact our dental office today for affordable dental services at 440-946-2726. Dr. Anthony Valaitis is your local and caring dentist providing all your family dentistry needs.